If you like to grow your own fruits and vegetables, chances are, you care where your food comes from and are opinionated about GMOs (genetically modified organisms). 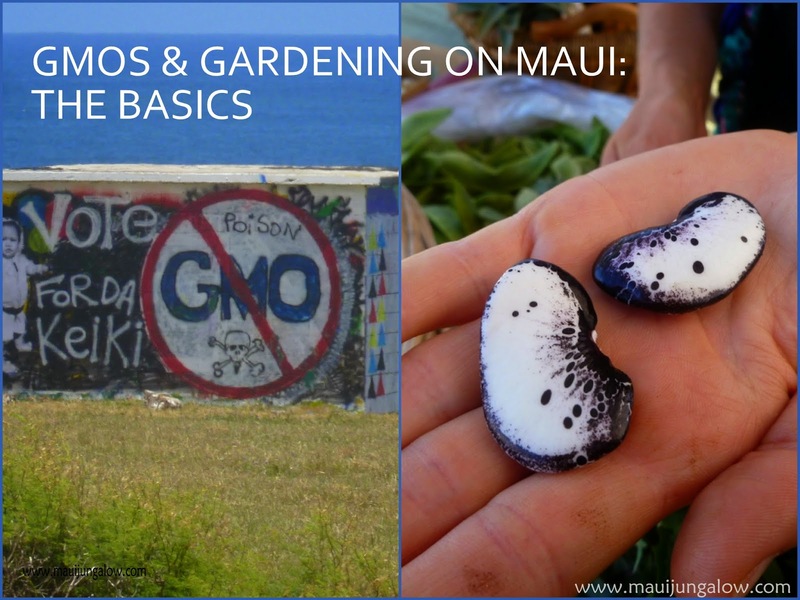 Beautiful Maui, along with Kauai and the Big Island, is one of the battlegrounds for GMOs. Monsanto has many acres of fields of GMO corn which they can grow nearly year round to test pesticides like RoundUp that they can sell farmers all over the world. Without going into the history of GMOs growing on Maui or getting technical about GMOs, since there are so many other websites that have this information, I’ll just say that many Maui residents are suspicious of Monsanto and of what Monsanto is putting in the fields – GMO crops with airborne GMO pollen or chemicals that may drift and spread into residential areas. Some residents are concerned that Maui bees located in areas within wind range of the Monsanto test fields are dying off. Other residents are concerned about living near "chemical drift" and how that may be affecting their health. Last year, Maui residents voted yes to a moratorium to stop growing GMO crops on Maui. As the November election approached, the debate and anger on both sides got intense. This moratorium is now being challenged in court. In the meantime, Monsanto is doing business as usual. 1. Bugs live here year round and they love to munch on your plants. Fruit flies love to lay eggs in all plants with fruit: tomatoes, zucchini, peppers, mangoes, even oranges and limes. 2. Most Maui soil is acidic and high in aluminum, low in calcium. Without enough calcium, your plants won’t get the nutrition to grow well (and will attract bugs and diseases). 3. Moisture and humidity create ideal conditions for certain bacteria, fungi, mold and powdery mildew. Tomatoes are really hard to grow on Maui due to powdery mildew and fruit flies. 4. Excessive wind in some areas will give your plants a constant battle just to stay upright. BTW, Maui is the windiest island in Hawaii. 5. Growing plants near the ocean, like in the town of Kihei, exposes them to salt in the soil, and sandy soil that doesn’t hold nutrients or water. 6. We have different diseases and viruses in the soil. Russet potatoes have a particularly rough time with the potato blight in the soil. 7. Many homes are built on old pineapple fields, so the dirt in one’s backyard may be depleted or full of chemicals. 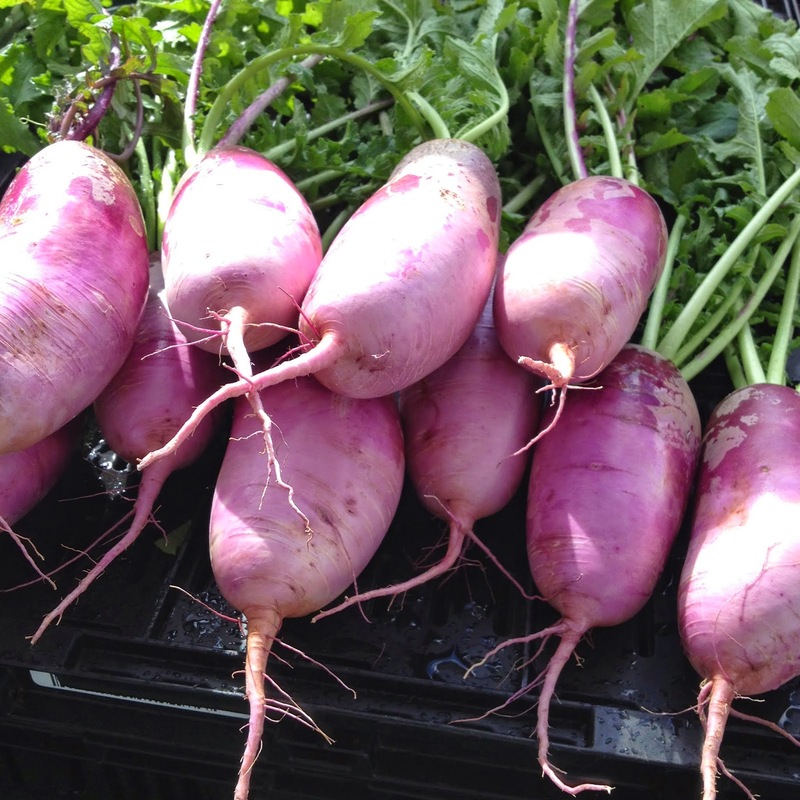 If you want to grow your own food, but don’t have space where you live, you can join a community garden: Haliimaile Community Garden, Napili Community Garden, or the SLIM Maui Garden at UH Maui. There are great resources for gardeners and farmers here: Maui Farmers Union, Anne Gachuhi's Home Garden Network, and SLIM Maui/UH Maui. Click here for more gardening on Maui posts. Good tips today. I admire those willing to grow or learn how to grow crop. Hoping the best that Monsanto will stop growing GMO over there. We won the ban on fracking in last November's election. The oil company immediately sued our county, but a couple of days it dropped the lawsuit. Some people are suspicious the company is up to some other tactics. Maybe. I'm hoping for the best that's it. I have been following your posts for the a-z challenge and I can't believe how many challenges you have between driving, bugs, gardening, replacing possessions! Maui is a much more complicated place to live than I would have thought! So sad about GMOs. Soon, everyone living here will be a big walking GMO because "you are what you eat", right? I'm loving learning about your home. Thanks for sharing! Wow Mark! No bugs in VA for three weeks. That sounds heavenly. You made a big move. I think GMOs are not as hot an issue on Oahu because I don't think there are any GMO testing fields there, but I could be wrong. And the Oahu news media doesn't cover it as much. All across the country, there are efforts to oppose Monsanto. It's amazing to me both how many people are aware of Monsanto and yet how many people have NO clue and don't think about their food at all. Congrats on the fracking ban. Seems that everywhere is more complicated to live than to visit. If I were contemplating a move to your neck of the woods, I would definitely want to pick your brain! I'm sure there are aspects of etiquette, driving, shopping that would be totally unexpected. No, I don't believe MA has the worst drivers. It's gotta to be...drumroll please, Florida! We lived there a year near DH's mom, and there were car accidents every weekend!